RUSSIA, 1894 7k. 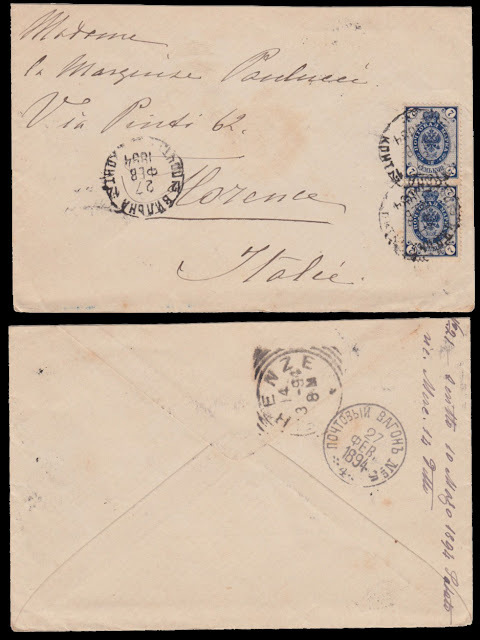 pair cover VILNA (Vilnius), Lithuania to Italy, TPO No. 5 transit mark, small faults.